It's very common when presented with a history of one's kneecaps "popping out" for a doctor to refer the patient for physical therapy with a prescription of "Knee Strengthening/Quadriceps Exercises" and "ITB Stretching". The medical term for this situation is "patellofemoral instability", where the patella (kneecap) has a tendency to sublux (or even dislocate) as it glides over the femur (thigh bone). 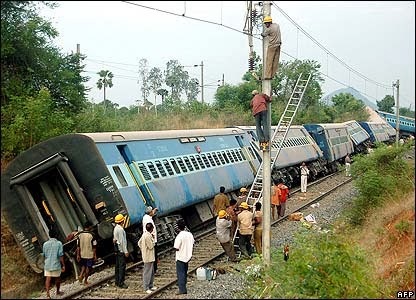 I like to explain this to patients as if a train (your kneecap) is coming off of its tracks due to poor alignment. Despite what conventional wisdom would tell you that it's weak muscles around the knee that cause the instability, it's actually a bit more involved. 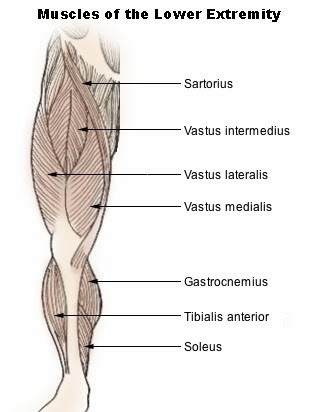 The usual suspects in conventional thinking to "blame" are a "weak" vastus medialis obliquus (VMO) and a "tight" iliotibial band (ITB). In reality, the cause is more functional in that you can think of the knee joint as the middle man in-between the hip/pelvis above and the foot/ankle below. And like all middle men, they react to what's going on with the opposite ends of the chain. When the pelvis is in a less than ideal position, it will affect the function of the hip joint which will affect the function of the knee joint below. Likewise with the positioning of the foot and ankle can affect the knee joint above. You can think of the pelvis/hips as the steering wheel, the knee and the foot/ankle as the wheels. What happens when your steering wheel is out of alignment? More wear & tear of the wheels. 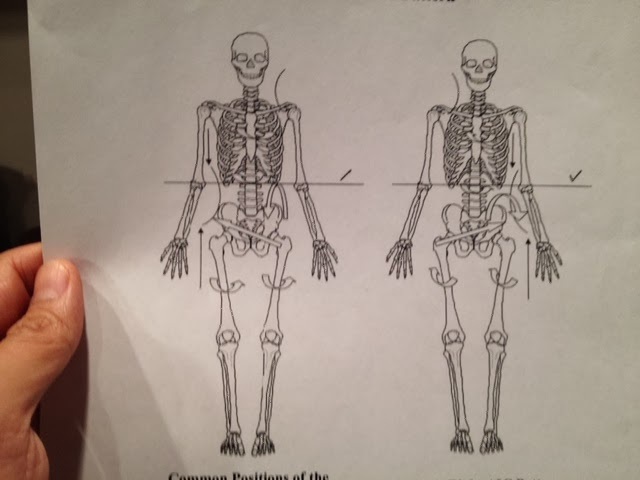 The pelvis on the same side of the involved knee is either rotated too far forward or backward, with either way, there's a compensation at the knee where the femur (thigh bone) either wants to roll inward excessively or can't roll inward enough. Either way, the vastus lateralis (VL) quadricep muscle can be overly worked to maintain a stable amount of internal rotation of the femur. Because the ITB covers the VL, it commonly is mistaken as the "culprit". And because the VMO wants to do the opposing motion of external rotation of the femur, it is often "out-classed" by the VL. Can you see now why doctors prescribe "quadriceps strengthening" and "ITB stretching" for patellofemoral situations? 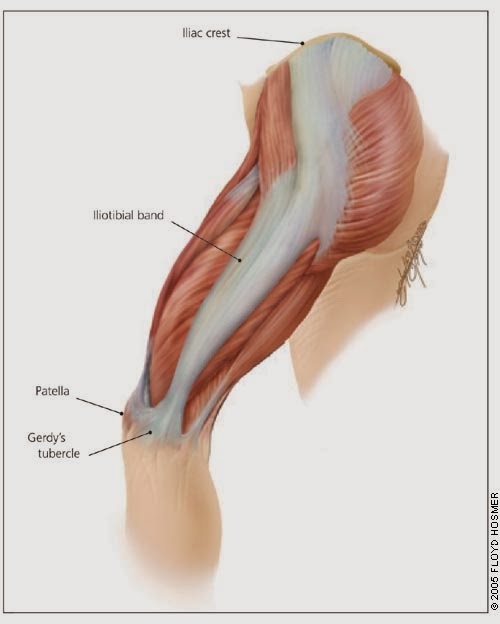 The moral of the story is that everything is connected and with patellofemoral instability situations, I find what works is addressing what's going on above (more than below) the knee joint. Obviously every case is unique and I could go on about many other possible relationships, but what it comes down to is what is the primary driver, or the "Mother", behind the clinical presentation and the only way to find out is through a thorough clinical evaluation along with a barrage of assessment/reassessments of function. Ahmedabad is counted for having some of the best hospitals of country. Many hospitals in ahmedabad have established themselves in last few years as premier providers of world class quality professional care in medical facility environment. Jaipur has many leading hospitals of our country. Many Hospitals in Jaipur have recently developed with world class doctors, professional equipments including recent technology and much more. Even an essay writer proved my words. Here know about the best hospitals in India which provide knee /hip replacement surgeries with advanced medical facilities by highly specialised doctors. After one hour --- have 4 pcs of walnut or almond.. These days there are many types of honey available in the market and you can mix any honey of your choice with amla juice. Can someone highlight some more health benefits of amla juice with honey? To do MBA in Singapore, work experience is must for all the MBA Colleges in singapore. Following is the list of B-Schools in Singapore with average work experience required. Minimum work experience - 2 to 3 years. 55% of applicants have been with work experience between 3 to 6 years. Thus in case if you wish to pursue MBA from top Singapore B Schools, work experience will be an important admission criteria. The MCAT or Medical College Admission Test, is the computer-based standardized entrance examination for admission to medical colleges in USA and Canada. It is an assess of the problem solving, critical thinking, written analysis, writing skills, and knowledge of scientific concepts and principles of the candidates. "Why won't this Pain go away?"